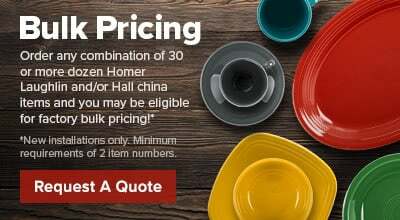 Impress your guests by serving your signature sauces in this Homer Laughlin 1420-0319 11.75 oz. Westminster Gothic off white sauce boat. By combining traditional Gothic design with rings of gold, this sauce boat brings an elegant style to any table setting. Its intricate lattice sculpting features a pointed-arch pattern from the top of its rim to its base, while a fine stripe of gold traces the rim to create a royal touch. 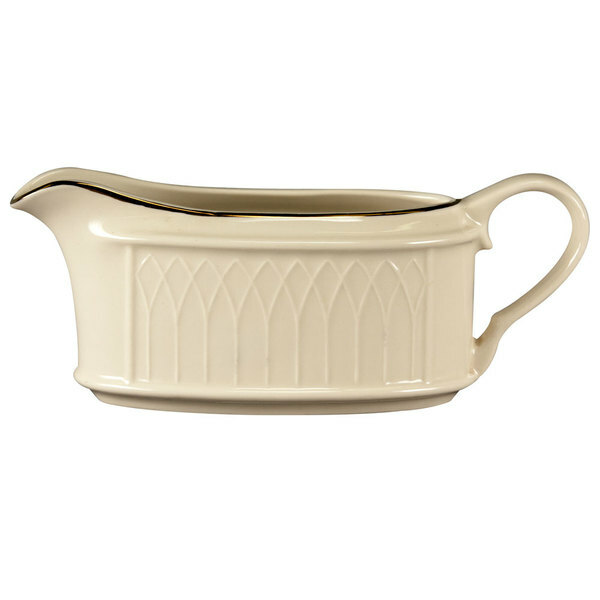 For added control when pouring, this Homer Laughlin Westminster Gothic sauce boat has a sculpted spout and handle to reduce spills.